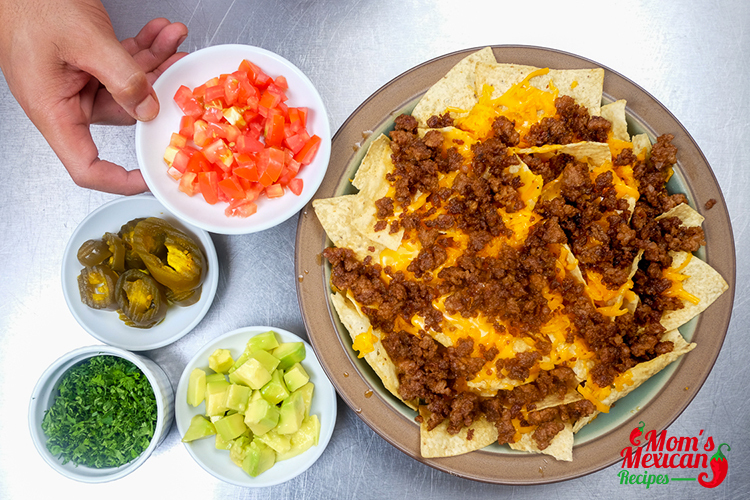 This finger food is usually eaten during snack time, and because of the flavourful taste of the Late Night Nachos Recipe, most of the Mexican people love to serve it with their guest and sometimes it is best to partner with a bottle of wine, beer, and other alcoholic drinks. 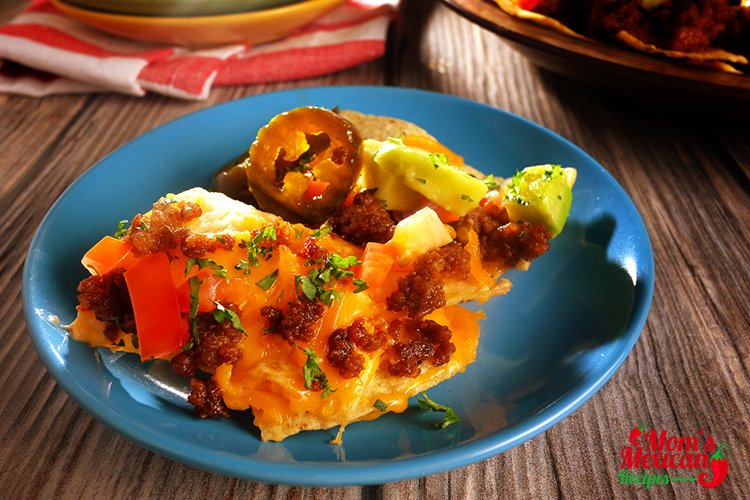 Nachos Recipe is originated in the city of Piedras Negras, Coahuila, Mexico. Why are corn chips triangle? 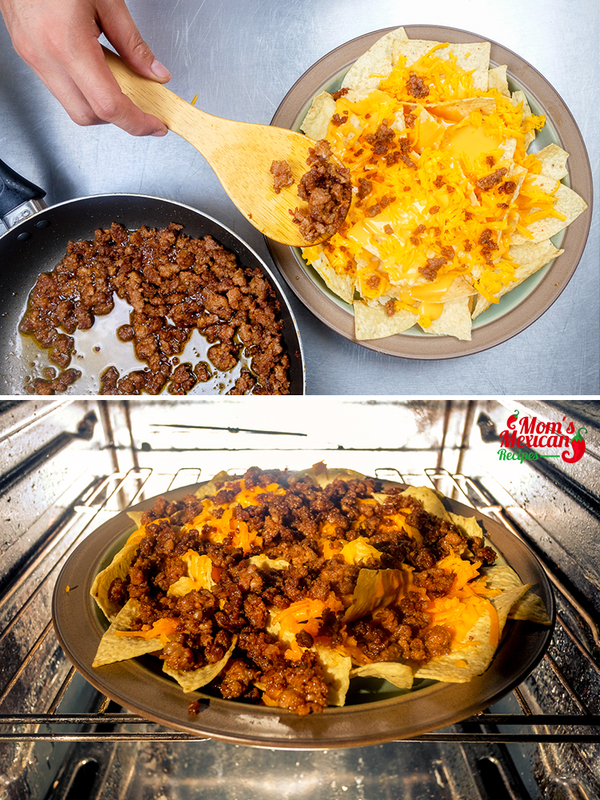 Because Nachos originated as cut-up pieces of tortillas. Tortilla, being round, are most easily cut into triangular sections, just like pizza, cake, or other pies. 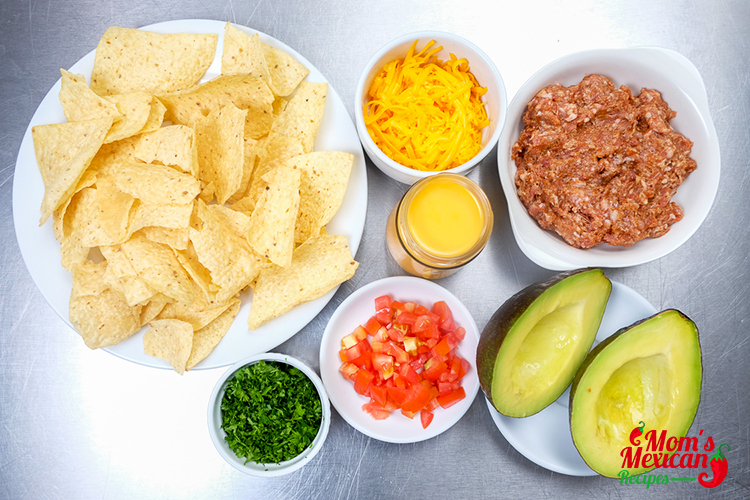 … Especially tomato pieces in salsa which can be hard to scoop if your nacho is in rectangular/circular shape. To a large oven-safe dish, add corn chips and spread them out. 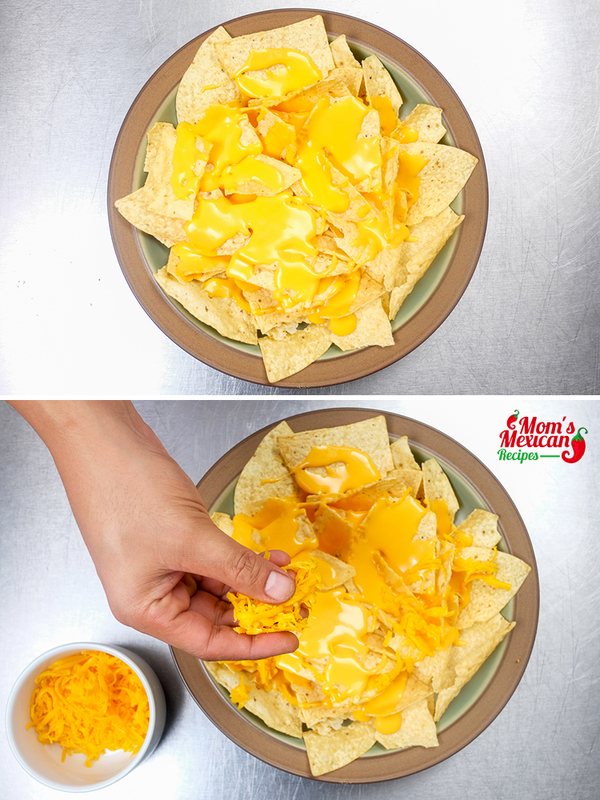 Pour salsa con queso over the top and mix well. Heat a small pan over medium heat and add chorizo. Cook about 8-9 minutes, or until chorizo is cooked through. Crumble over the top of the cheeses. Heat oven to 220 degrees and bake the dish until the cheeses melt through. Remove from oven and top with fresh jalapeno slices, avocado, tomato, and chopped cilantro, with cream if desired. Cilantro Pesto – the best nachos are the ones that are garnished with fresh cilantro, but sometimes that just isn’t enough (surely any true cilantro lover will agree). That’s why cilantro pesto just makes sense. Pico De Gallo – this so easy to make (and tastes so much better)? All you need are tomatoes, onions, cilantro, and jalapeno. Giardiniera – These pickled veggies is a mix of cauliflower, red peppers, carrots, celery, and pepperoncini. Eggplant Caponata – You won’t often find eggplant served on top of tortilla chips, but they make a hearty, vegetarian topping. And if you’re looking for a little complexity of flavor, opt for caponata; it’s sweet and vinegary and tastes amazing with melted mozzarella. Questions / Suggestions regarding the Late Night Nachos recipe? Comment below. 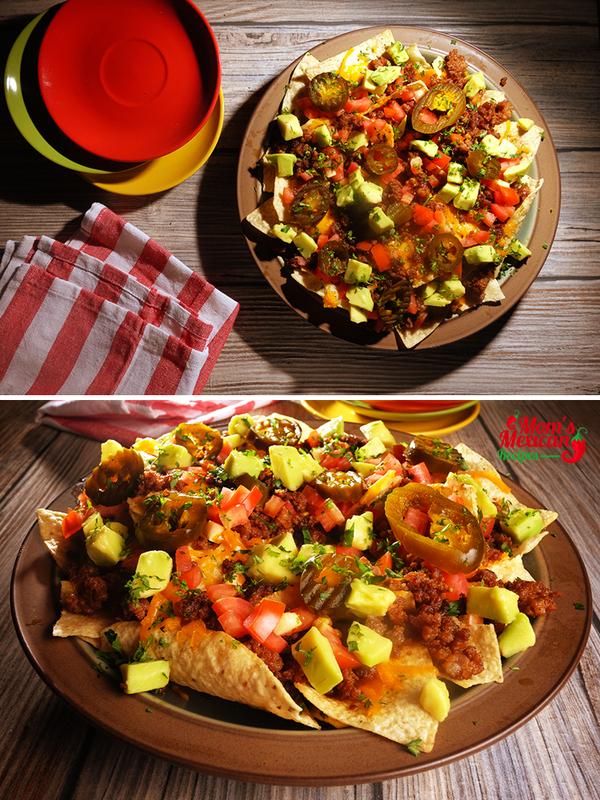 Also, Don’t forget to Like our Official Facebook Page for our latest Mexican Recipes. Thank You!